Tonight, we will end the Feast of Tabernacles by celebrating Simchat Torah - which means Rejoicing in the Torah. It is traditional to stay up all night, reading and teaching the Torah. We study, we eat, we dance and parade the Torah around the synagogue, and we worship Hashem, thanking Him for the gift of His Holy Word. I will share more tomorrow evening. In the Torah, we read: “On the eighth day shall be a holy convocation to you… it is a holding back (atzeret)” (Leviticus 23:36). 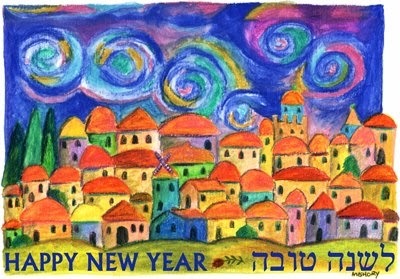 This holiday is an invitation to linger one more day with Hashem - to enjoy our time together just a litle bit longer. The time in the sukkah will end, but not intimacy with Him. 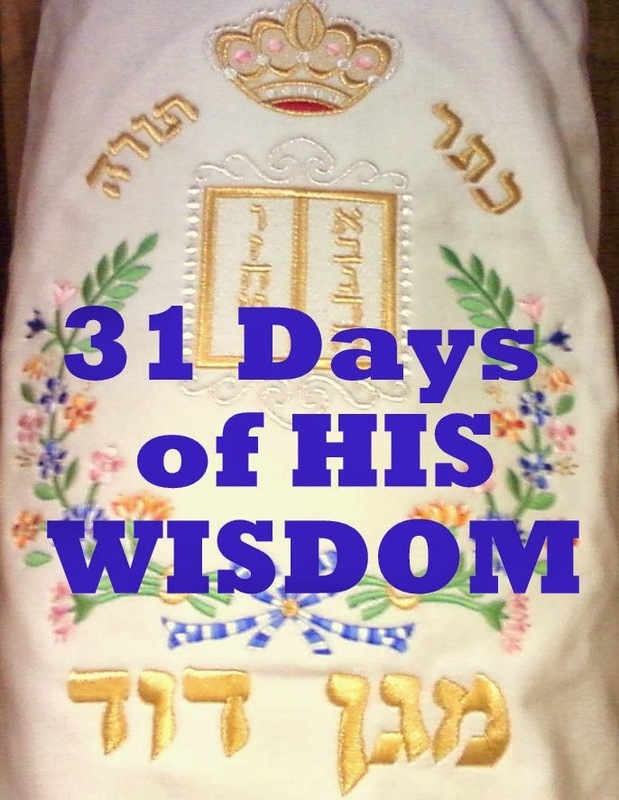 This 31 day series will focus on the things I learned from Proverbs, as well as some things from Torah study, and will add in a sprinkling of what I've learned from Judaism. I will be posting daily through October 31. 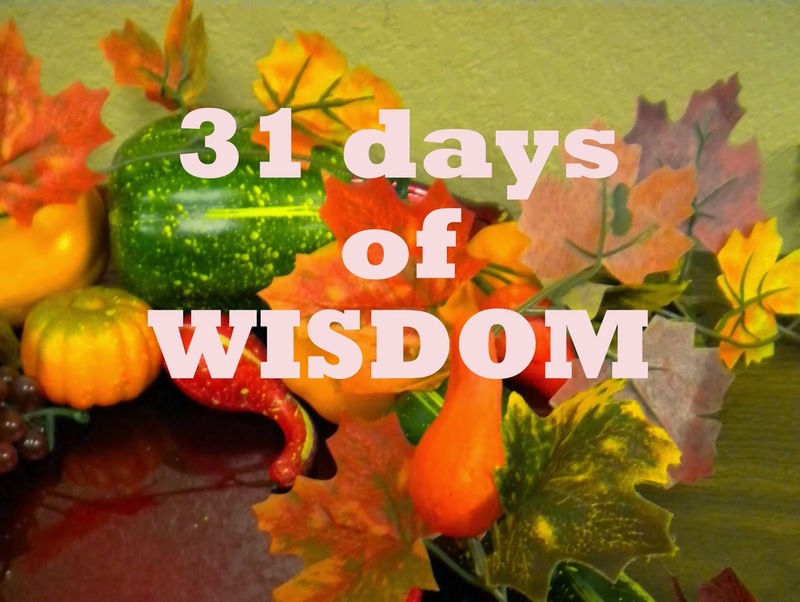 To read the posts,go to the Labels section on the left, and click on "31 Days of His Wisdom." On October 1, I will begin a new series called "31 Days of Wisdom." As a believer in Yeshua (Jesus), I've learned a whole new way of looking at the Scriptures - by looking through the lens of Judaism. I hope you come back by. 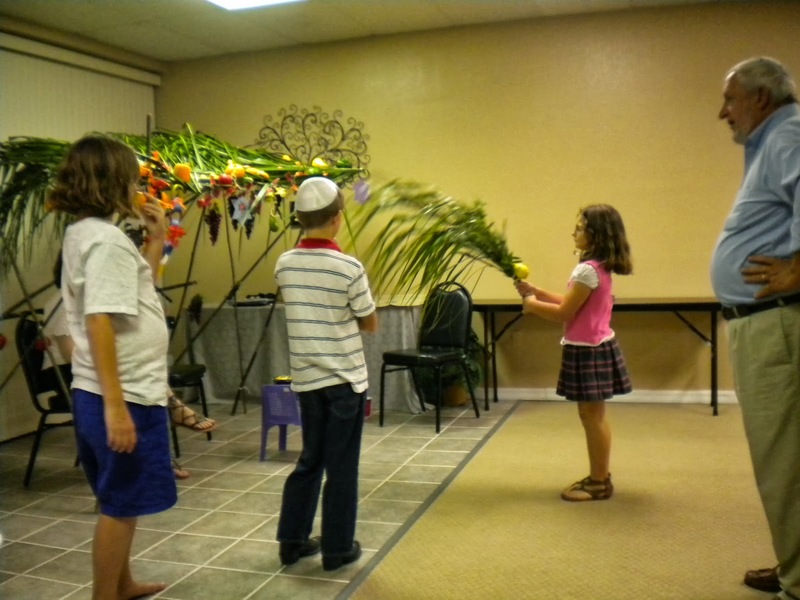 The Feast of Tabernacles, or Sukkot, follows Yom Kippur, and is a time of great rejoicing. 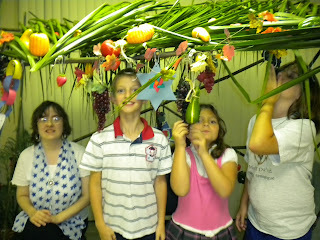 This year, for the first time, we built our sukkah inside the synagogue. It worked out well, and everyone enjoyed decorating it and sitting in it...even though we had to look through to window to see the stars. Sometimes, you just have to go to Plan B, right? 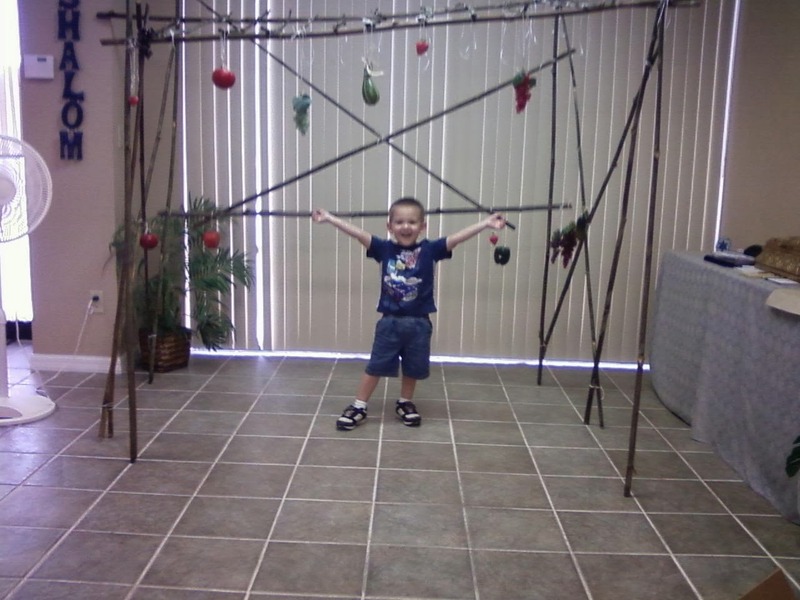 Our grandson helped us build the sukkah and we had so much fun with him. 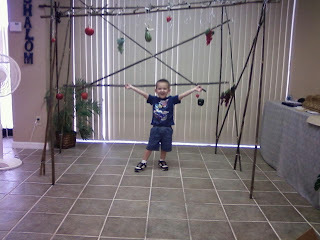 We taught him to say, "We build the sukkah to remember that G-d takes care of us." He is so sweet. 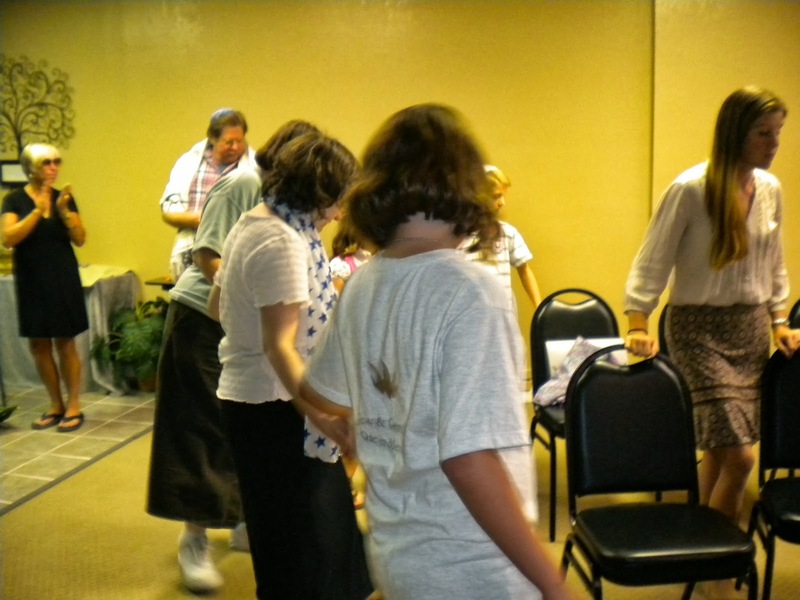 This year's celebration was enjoyed by all - we decorated, we danced and worshipped, we ate (of course), and we shared stories of how Hashem has provided for us over the past year. 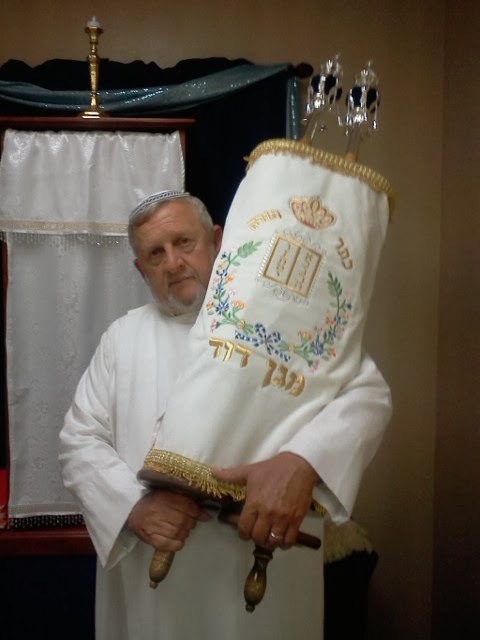 We are looking forward to Simchat Torah on Friday evening. 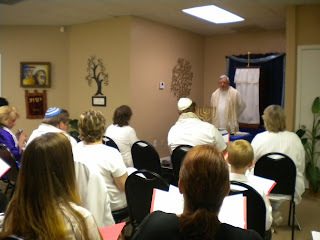 Rejoicing in the Torah - YES! Here is video about Sukkot in Israel - Enjoy! Leviticus 23:27 "... on the tenth day of this seventh month there shall be a Day of Atonement: it shall be an holy convocation unto you; and you shall afflict your souls..."
The Torah teaches, in Leviticus, the high priest must go inside the Holy of Holies on Yom Kippur to make atonement for the sins of the whole nation of Israel. According to the Torah, this is an everlasting statute. 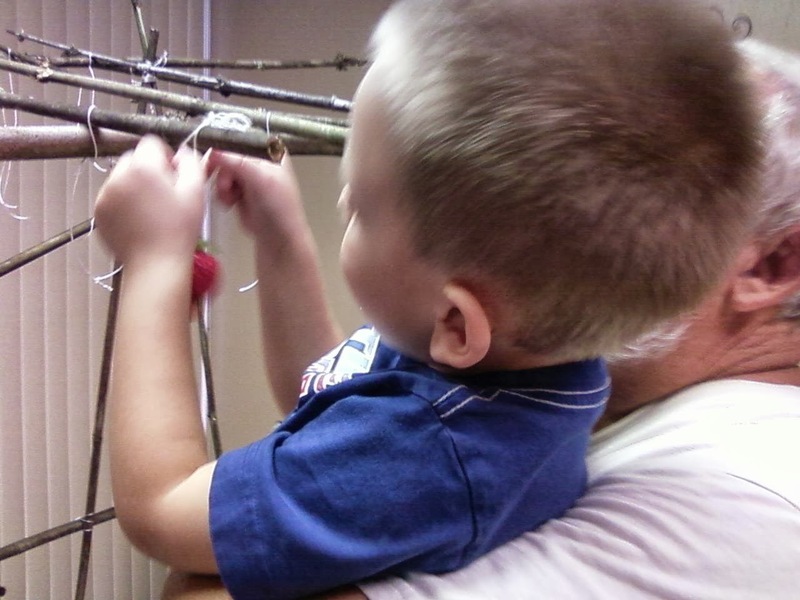 Since there is no temple at which to make the sacrifice, how can atonement be made? 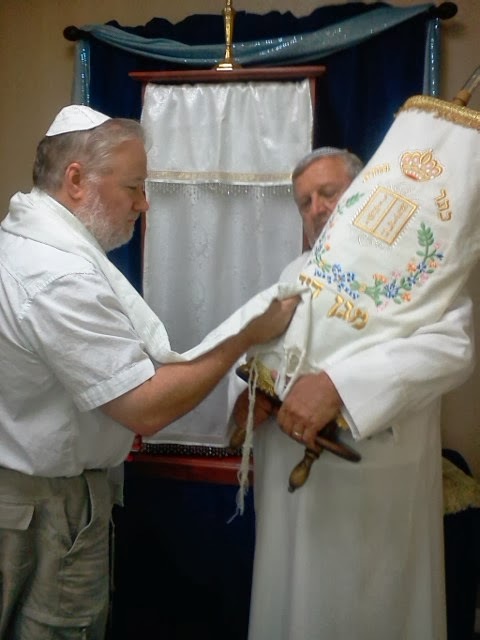 In traditional Judaism, prayers are said and forgiveness is sought and offerings of money are made to the local synagogue. In Messianic Judaism, we wear white clothing. We also dress the ark and the Torah in white These are to remind us that Adonai is holy, and He requires pure, holy lives. Adonai takes sin very seriously, and requires us to do the same. As Messianic Jews, we use this time of reflection to examine ourselves, and we repent of any sins in our lives. Afterward, we acknowledge the sacrifice of Yeshua for our sins and thank Him for that payment. 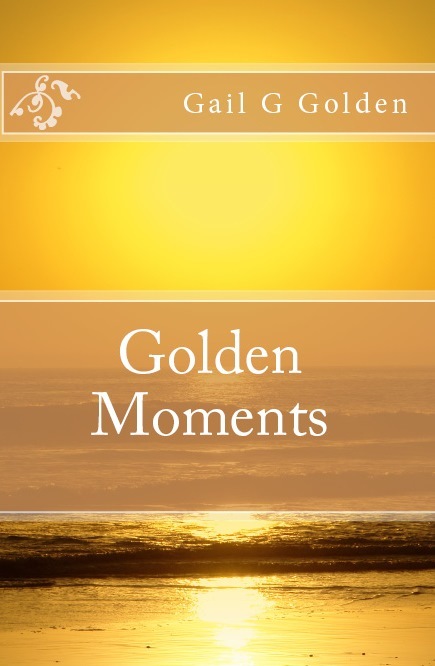 We also ask forgiveness of others and attempt to make amends in any unresolved conflicts. Scripture references are from The Complete Jewish Bible. 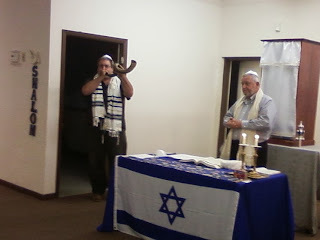 Read more about Yom Kippur by clicking on the label on the left side of my blog. I've made a decision to put off beginning Wisdom Wednesday until next Wednesday, October 2. I want to use this Wednesday to show you my new kitchen. This has been a dream of mine forever! To appreciate the new, you have to see the old. 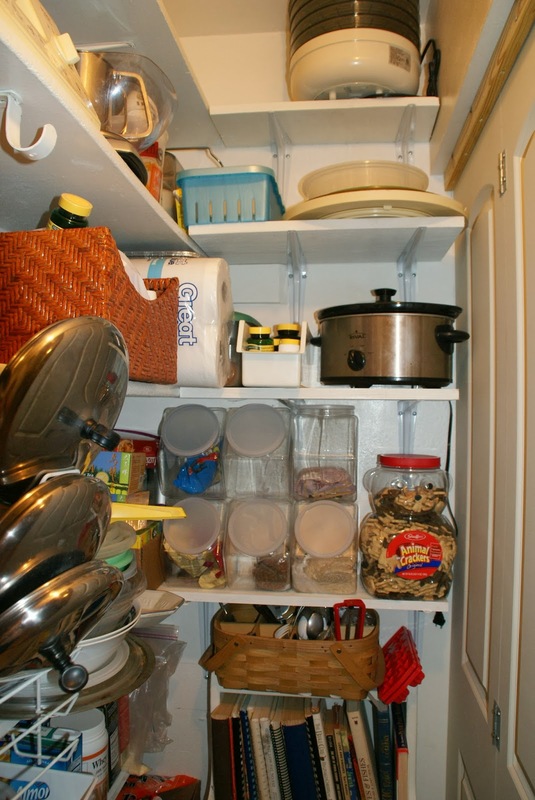 The picture below shows the awful green and white cabinets. The green is so dark, it almost looks black. Depressing, right? 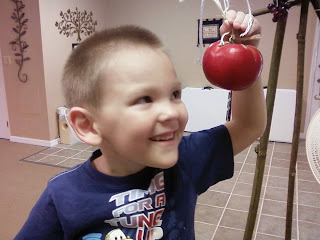 This was taken when the ladies and I were making apple kugel a few years ago. 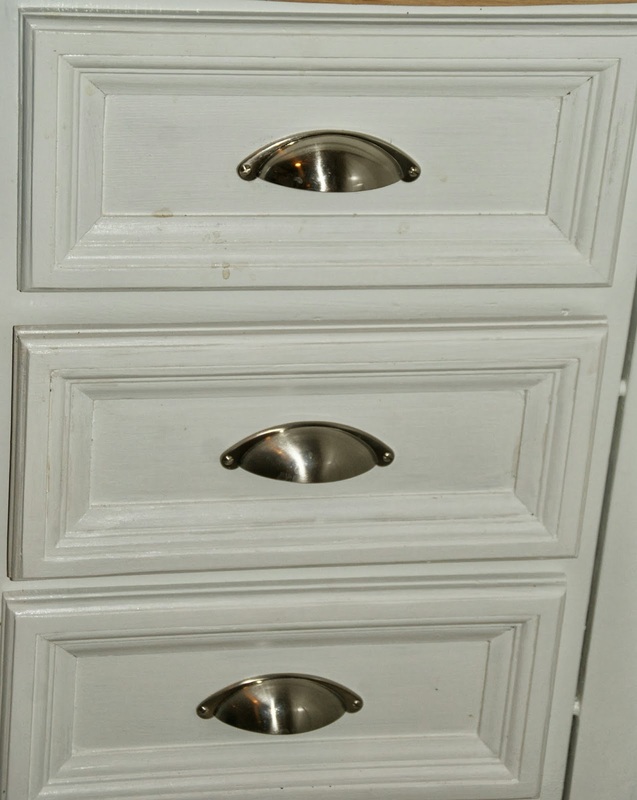 I've been wanting white cabinets for a long, long time. Well, now I have them...and I'm in love. Aren't they beautiful? I love white. As a matter of fact, I now have white walls though out my home. I like it like that (big smile). 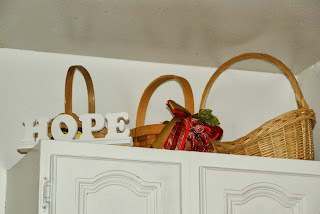 I am so happy with the gingerbread as you enter the kitchen. I found one of them at a garage sale a couple of years ago, and the other one at Lowe's this summer. So blessed to find a matching one. 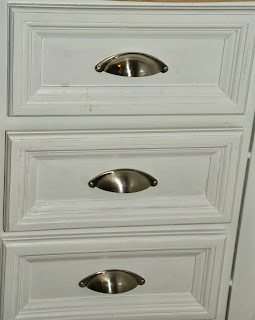 The knobs and drawer pulls are from Lowe's and are exactly what I dreamed of. Happy dance! I'm really pleased with my Pinterest project. I saw this wine glass rack about a year ago, found a rake at a garage sale, and here you go. I absolutely love this, don't you? 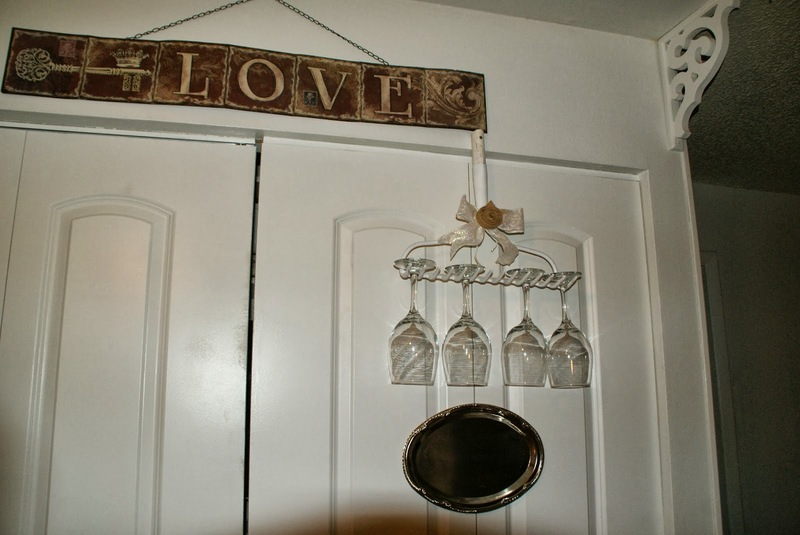 Don't you LOVE the Love sign? Found it at Hobby Lobby. The best part is the re-do of my pantry. My sweet husband built shelves from top to bottom. What a sweetheart he is, right? Now I can have all my pots and pans and lids in arms reach. 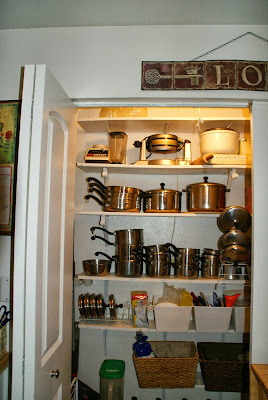 I also have a place for my kitchen appliances, and cookbooks! Oh, the joy this has brought into my home-maker heart! Can you tell I'm excited? 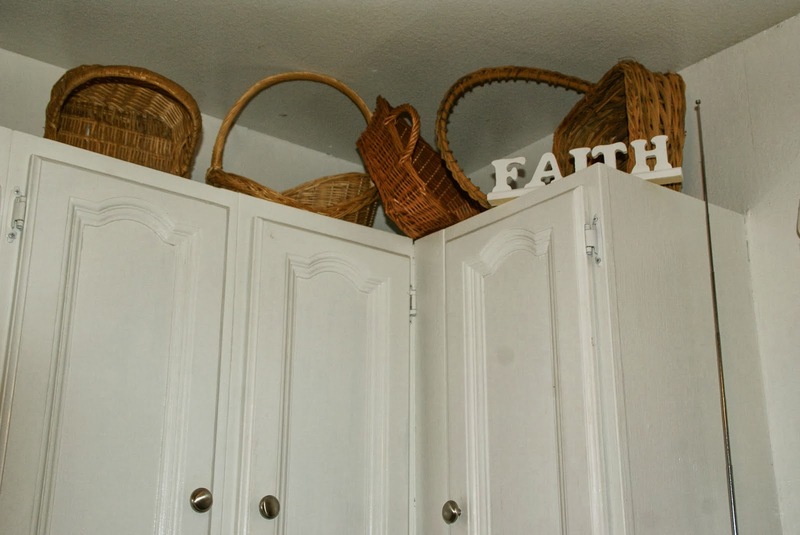 I even have empty places in my regular cabinets. Woo-hoo! Had to take a picture quick, because you know the rule, right? 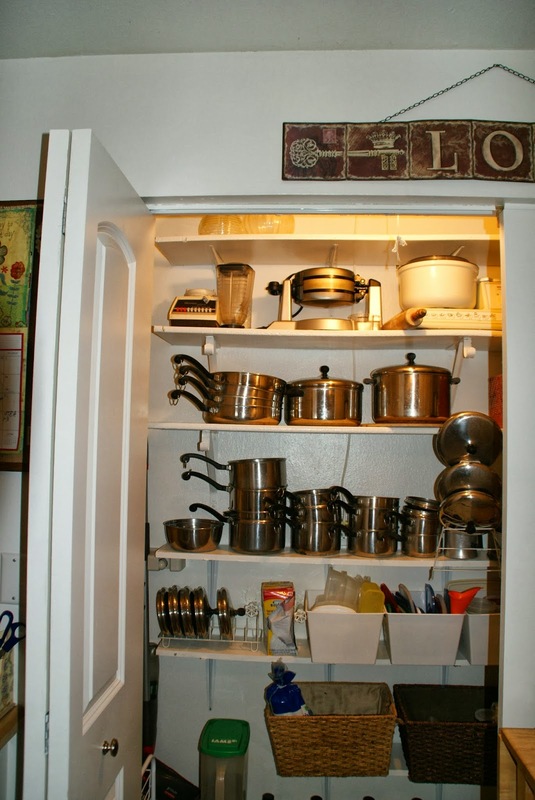 Junk will expand to fill up any empty space. I love having a shelf for my cookbooks! 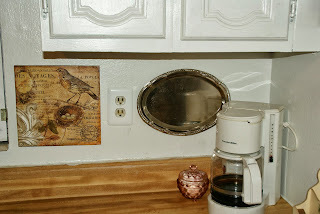 I found the sweet bird prints at an outlet store, and the silver trays came from the Dollar Tree. I love them both so much. Yes, he was ALL of that while we worked together on the kitchen. 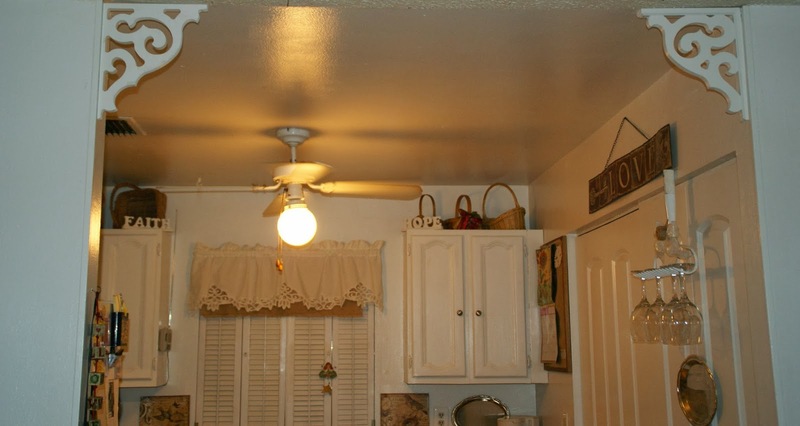 We are not yet finished with this kitchen project. We still have to replace the floor covering (because it was ripped when we moved the frig), and will be replacing the countertops and dishwasher...later! The High Holy Days put everything on hold. 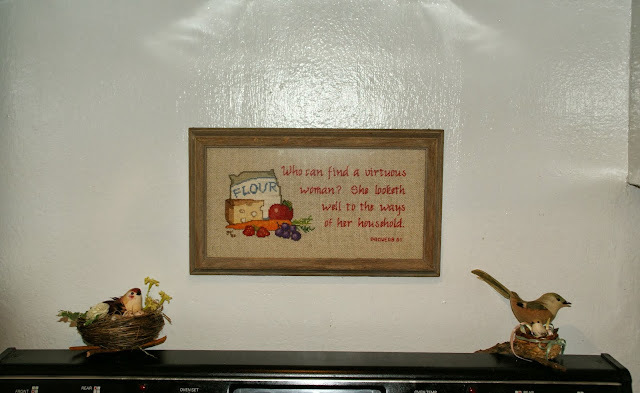 This counted cross stitch piece over my stove has been in my kitchen for many years. I made it back in the 80's. This verse is one I want to remember and follow daily. 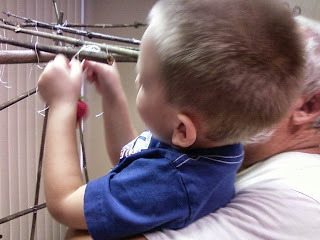 I am so blessed to have a home, and a wonderful husband, children and a grandson. I love being a wife, mother, grandmother, and homemaker. This is my calling and I love what I do. One day, I fell to my knees and cried out to G-d. I asked for HIS wisdom...not the wisdom of the church to which I belonged....and certainly not the wisdom of the world. I wanted HIS wisdom and I began to seek it diligently. My search led me to Messianic Judaism and to joy and wisdom like I'd never, ever known before. I've been blessed beyond measure and my joy continues to increase along with my wisdom. I 'm sure you've heard the saying "What Would Jesus Do?" Well, dear readers, He would have celebrated Rosh Hashanah because he was Jewish. 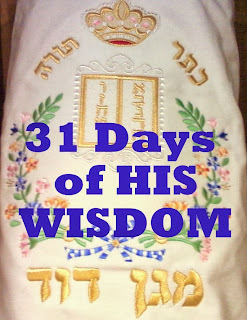 I am happy that my Wisdom Wednesday series is beginning with this holy day. I invite you to learn about Rosh Hashanah from previous posts I've done on that subject (on the left side bar under labels). 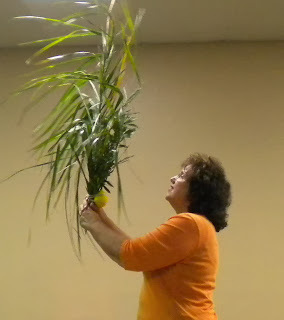 I pray for you, dear Gail-Friend, to experience the joys that Yeshua (Jesus) experienced in the Feasts and Festivals...in the study of the Torah...and of Judaism. 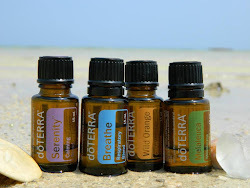 Since my next post will be during the Ten Days of Awe, I will not post on September 11. This is a season of quiet reflection, of seeking the face of Adonai, and of teshuvah (repentence). I look forward to time alone with Him. If you are visiting during that time, please learn more about the High Holy Days by clicking on that subject on the left side bar under "Labels". I will return on Wednesday, September 18. Rosh Hashanah is also the beginning of the new year on the Jewish calendar. 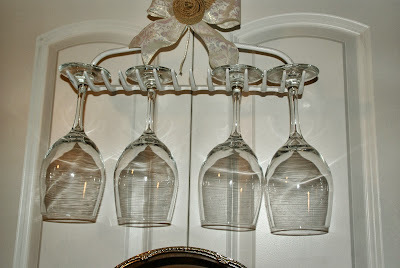 That's why I started my post with L'Shana Tova, which is Hebrew for Happy New Year! We wish you and your families Shana Tova U'mtuka – a sweet year filled with possibilities and blessings.